Making too much money. Sounds like a problem everyone would like to have, but making over $200,000 may make you more likely to be audited. 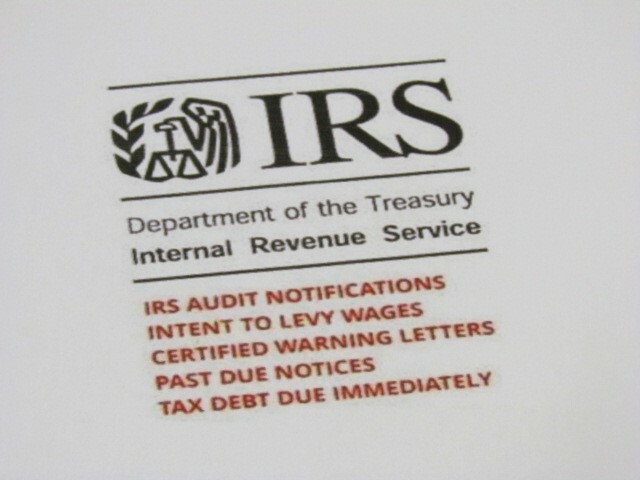 The fact is that there are fewer auditors, so the IRS is focusing on where they can make the most bang for the buck. Not reporting all your income. No matter how much or little you make, report everything. In some way or other, unless you run a strictly cash business (another red flag), all of your income is reported to the IRS. W2, 1099 and other forms you receive are duplicated and sent in to the IRS. If your reported income doesn’t match theirs, that’s one more red flag. Math errors. Whether you file electronically or still file paper forms, your information gets entered into a computer. And one thing computers are very good at is doing math. If things don’t add up, or there was an honest mistake in inputting the information, it can raise a red flag. A math error won’t necessarily get you an audit, but it will get attention you may not want. Make sure to double check your returns and have a qualified tax professional assist you and keep you out of tax trouble. Home businesses that never make money. Sole proprietorships that file a Schedule C year after year and always show a loss will raise a red flag. Even if you show a profit, but the profit margin is always unreasonably small, that will get the IRS’ attention. Large charitable deductions. There is nothing wrong with being charitable and there is no legal limit to how much of your hard earned cash you can give away, but if your donation is out of sync with the norm, that’s another red flag. Overstating business expenses. Depending on the type of job you have, there can be many legitimate expenses that your employer doesn’t reimburse you for. If you’re a business, you might be tempted to write off just a little extra. These might be genuine deductions. But don’t try to deduct something that’s not on the approved list and don’t claim deductions way outside the norm. Check with your tax professional and stay up to date with tax laws so you’re not padding your tax return with write offs. Sketchy real estate rental revenue or losses. Some people will ‘rent’ their property to friends or family at well below market value and then claim normal rental business expenses. As with other areas, the IRS compares what you claim against local standards to determine if this is a legit business. If not, they will disallow the deductions. Home office deductions. There are absolutely legitimate home office deductions but the IRS has very strict guidelines on what you can claim and how much. Try to claim too much and this is a classic red flag. Claiming losses for things that aren’t deductible or deductible in your circumstances. One example is claiming day-trading losses on a Schedule C. If you dabble in stock trading and take a loss, it may or may not be deductible, but almost certainly doesn’t qualify for a Schedule C loss. You also can’t take a deduction for alimony. The IRS maintains a list of non-deductible expenses, make sure to check that and check with your tax professional. Claiming 100% business use of your vehicle. If you spend most of the time in your vehicle doing your job, you may think it’s easier just to claim the whole thing for business. Wrong. You will either have to show your personal use, no matter how small, or show you have a second vehicle for personal use. This entry was posted in Blog on December 7, 2018 by Aaron Ang.